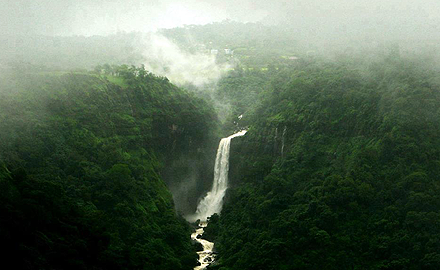 It is said to be the queen of all points within Mahabaleshwar. 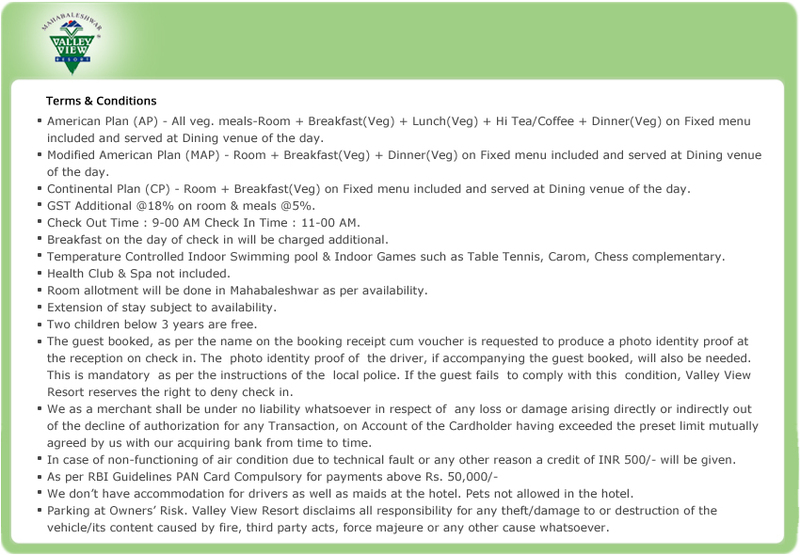 This is the only place which shows the geographical distinction between Kokan and Deccan territories of Mahabaleshwar. Arthur Seat collapsed in November 1973 but the adjoining rear portion which can offer almost the same view now bears the same name. This Point is named after Mr. Arthur Malet. It is said that while climbing the hill his wife and two month old child drowned in the river below. 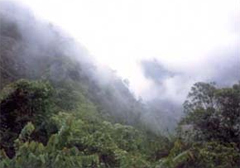 North west over a right about 125 mtrs below is seen the 'Jor' Valley dense with forest. In October and November these hills form masses or rocks, are rugged beyond description and apparently are unscalable. While going to Arthur Seat there is a little stream called Tiger Spring. People living here believe that Tigers and Panthers frequently come here to drink water. Relax only at night ! Wilson Point is the nearest and the highest point i.e. 4710 ft. (1435 mtrs.) 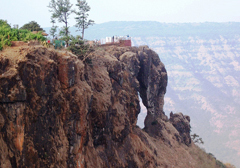 above sea level in Mahabaleshwar. It is a vast bare rock with three observation towers erected at different spots. Tourists rush here in the early morning to see the colorful and bright sunrise. Wilson point is also called 'Sunrise Point'. 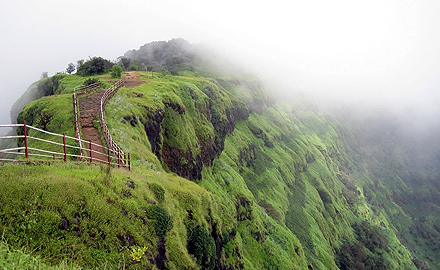 Elphinston Point is named after the Governor of Mumbai Sir Elphinston, this point was discovered by Dr. Murray in 1880. It was a hot picnic spot during the former British days, crowded with ayas pushing baby carts and strolling lovely vivacious British couples in a delightful romantic mood. 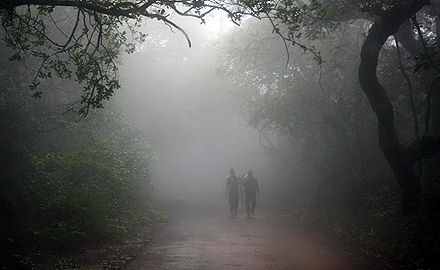 On Mahabaleshwar - Poona road about 3 kms. from the Venna Lake there is a road on the left leading to Kate's Point. It is a drive of about 2 kms. 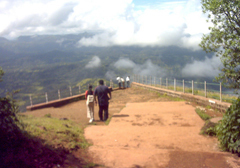 This point is unique as it gives a commanding view of the Decccan side and the Krishna valley. The river Krishna winds its way beautifully through green fields. At extremity of the Kate's Point, is a huge rock (100 ft. high) which appears to be detached from the men scrap, a few smaller boulders wedged between this rock and cliff from a narrow arch. The arch is known as Needle hole. 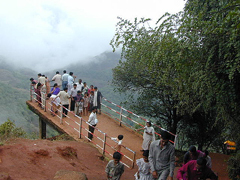 Panchganga Mandir is one of the holy places of Mahabaleshwar. 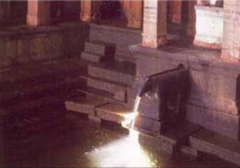 Water from five different rivers (Koyna, Krishna, Venna, Savitri and Gayatri) get together in this place and it comes out from the Gomukh (a cows mouth) carved in stone. So this place is called as Panchganga Mandir. This famous temple was first built by Raja Singhandeo, King of the Yadav of Devgiri in 13th Century. 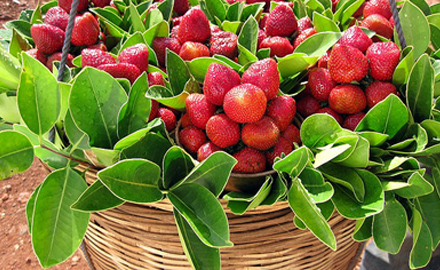 Finally it was improved and enlarged by Maratha Emperor Shivaji in 16th Century. 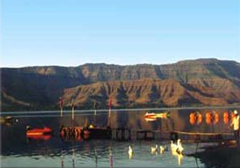 Venna Lake is the first and major attraction of Mahabaleshwar. 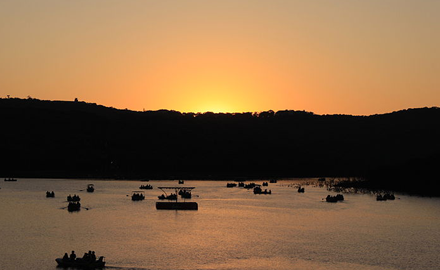 It is very famous for boating. Boating in the Venna lake is full of pleasure for all, old as well as youngsters. 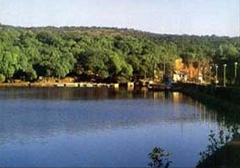 This Lake was constructed by Maharaja Shahaji of Satara and was completed in the year 1842. 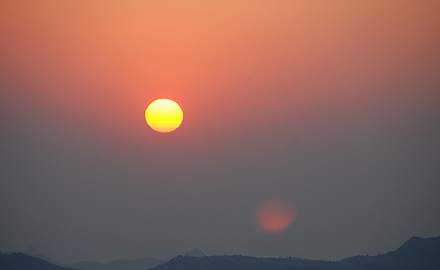 A visit to Pratapgadh adds a historical dimension to the Mahabaleshwar trip. 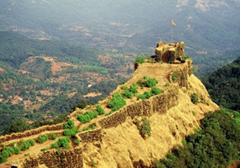 It is a place where the history of Maratha Emperor Shivaji took a decisive course when mighty Afzal khan met his death. Shivaji Maharaja then established himself as a significant force in the contemporary power politics. Tapola, 28 kms. 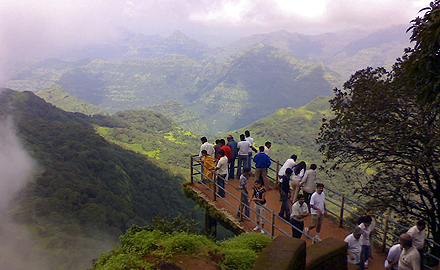 from Mahabaleshwar with its virgin beauty is also a very scenic point. 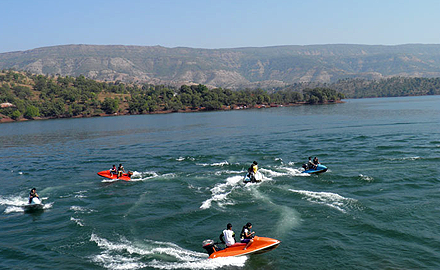 Koyna Dam's back water and the picturesque surroundings make this place an ideal picnic and boating spot. 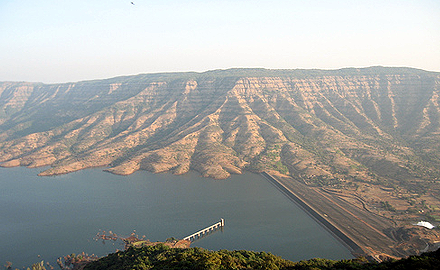 Wai, is located at 17.94Â°N 73.88Â°E approximately 35 km north of the city of satara. 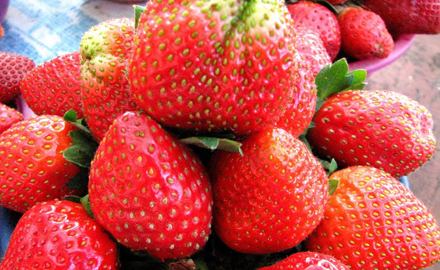 It has an average elevation of 718 metres (2355 feet). 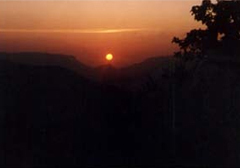 It is surrounded by the mountainous region of the Sahyadris; ("Dhom Dam" has been constructed in the vicinity of Wai). Wai is called as 'a town of temples and known as 'DAKSHIN KAASHI'. Temples are built in the "Hemadpanti" style of architecture since the usage of huge stone slabs is the major characteristic of Hemadpanti architecture.